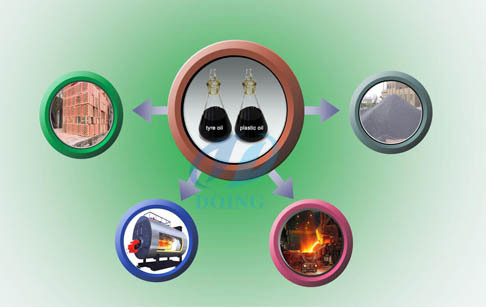 The waste tire recycling equipment can pyrolysis waste tires,waste rubber and waste plastic,processing fuel oil,crude carbon black and steel wires without pollution. 1. 100% waste tire recycling is achieved (no churn left after the process). 5. The most cost-effective waste tyre recycling technology in the world. 6. Raw material (waste tyre) is cheap and easy to provide. These are the by-products of tyre production. 7. Each recycled ton of tyre preserves 10 tons of CO2 that is a major greenhouse gas. 8. The system creates an alternative source of energy to replace petroleum products and natural gas. 9. The process can be applied to all rubber based materials. 10. System prevents the spread of diseases caused by waste tyres. 11. System gives the opportunity to governments and local administrations to deal with the waste tyre problem to a great extent. 12. We deliver plants with capacities of 5 ton /day & 10 ton/day and its multiples. 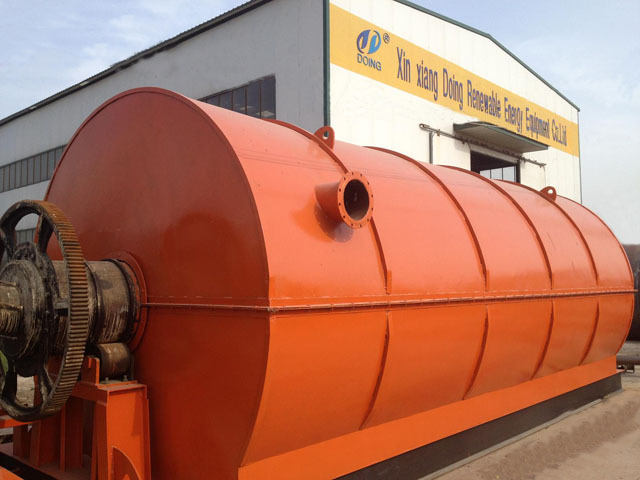 The process of Pyrolysis has duration of 4 to 12 hours, depending on the amount and type of tyre (car tyre, truck tyre, etc.). During the process different vacuum values are applied in pre-determined temperatures and in different phases different gases are obtained and the condensed gas is stored as fuel-oil in tanks. As we all know, this is a special field, high profit and high risk. So, when you choose a supplier, security will be the most important thing.Besides, security, technology, quality and oil refining experience are also very important. Since this is a new field, so, no exact rules. In this way, experiences and technology will be the key point. As for the quality, it should be worth of your cost. 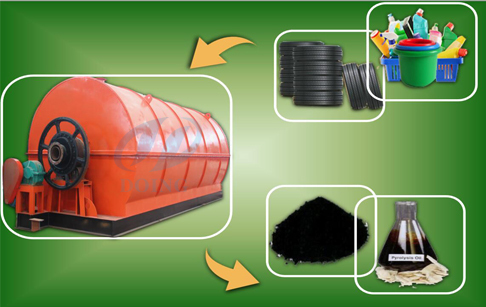 If you wanna to get more details about Waste tire recycling equipment you can send E-mail to market@doinggroup.com. You can consult our professional engineer and specialized sales team with leave a message in below form.We will contact with you ASAP.You also can visit our factory in Henan,China.Get Detailed address.